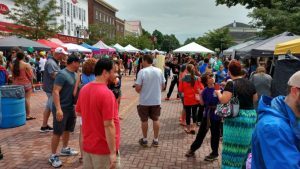 A fun shopping atmosphere with activities, demos, food, crafts and store vendors. Operation Kids features 6-15 year old children operating their own business during the event. A wonderful Chalk Walk Mural event sponsored by the Town of Aurora Park & Recreation Dept. Join us to celebrate the 50th Anniversary of the event for some fun, great shopping on a closed portion of Main Street, East Aurora. The event showcases over 30 restaurants in the greater East Aurora area. 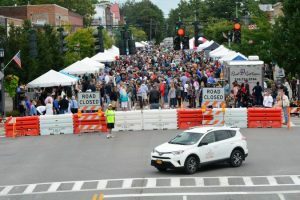 Historic Main Street is closed to traffic for the event. Live music and delicious food items priced between $1 - $5. Come out and experience the wonderful cuisine of the greater East Aurora area! The event is sponsored by local community businesses and organizations. 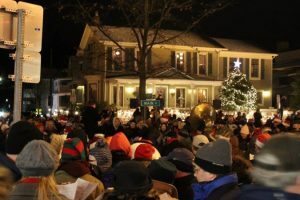 A holiday tradition that features caroling, hot chocolate, songbooks, donuts and a visit from Santa Claus.